Mangaluru, Feb 7, 2017 :Expectations are high as the Principal Bench of the National Green Tribunal is set to deliver its final judgement on February 7, Tuesday in the controversial Yettinahole project which has invited sharp reaction from different quarters in Dakshina Kannada district and has also paved way for numerous protests. The project is presently coming up at Sakleshpur taluk of Hassan district. The Supreme Court Bench headed by Justice Swatanter Kumar has questioned the petitioners K N Somashekhar and Kishore Kumar as to why an issue pertaining to the drinking water was brought to the Court . The Court said so after taking note of the Karnataka Government ’s submission that the project was aimed at supplying drinking water to parched districts. 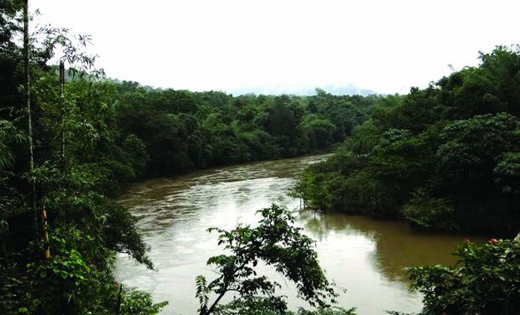 The advocate for the petitioners argued that the petitioners were not against the project but were opposed to the project which is coming up in an ecologically sensitive area.